King’s College London is one of the top 25 universities in the world (2016/17 QS World University Rankings) and among the oldest in England. King’s has more than 27,600 students (of whom nearly 10,500 are graduate students) from some 150 countries worldwide, and some 6,800 staff. King’s has an outstanding reputation for world-class teaching and cutting-edge research. In the 2014 Research Excellence Framework (REF) King’s was ranked 6th nationally in the ‘power’ ranking, which takes into account both the quality and quantity of research activity, and 7th for quality according to Times Higher Education rankings. Eighty-four per cent of research at King’s was deemed ‘world-leading’ or ‘internationally excellent’ (3* and 4*). The university is in the top seven UK universities for research earnings and has an overall annual income of more than £684 million. King’s is a key player in the South Bank neighbhourhood and routinely collaborates with other South Bank Employers’ Group members. In 2011, it partnered with Southbank Centre for the launch of a unique master’s programme – MA in Education in Arts & Cultural Settings – linking education and culture. The resulting is the first of its kind. King’s College London and Guy’s and St Thomas’, King’s College Hospital and South London and Maudsley NHS Foundation Trusts are part of King’s Health Partners. King’s Health Partners Academic Health Sciences Centre (AHSC) is a pioneering global collaboration between one of the world’s leading research-led universities and three of London’s most successful NHS Foundation Trusts, including leading teaching hospitals and comprehensive mental health services. One of King’s two main campuses is in South Bank/Waterloo in Waterloo Road and Stamford Street. 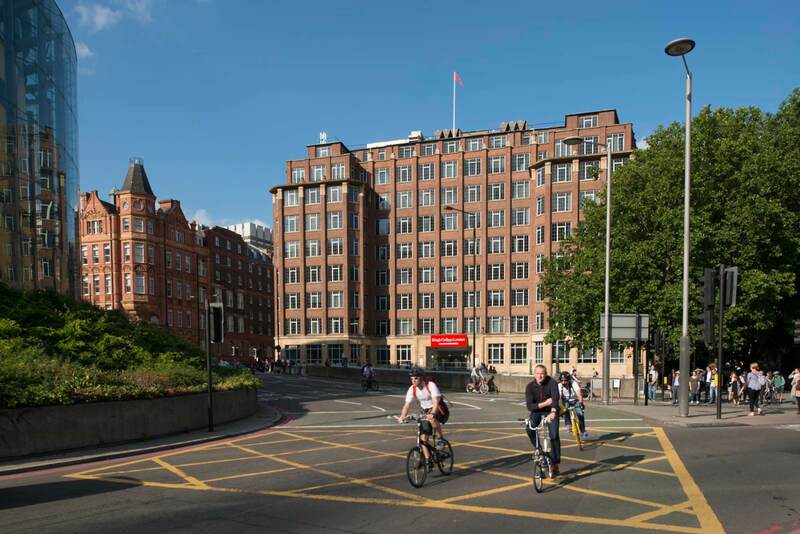 This is home to the Florence Nightingale Faculty of Nursing and Midwifery, Faculty of Life Sciences & Medicine, Faculty of Social Science & Public Policy, London Dental Education Centre (LonDEC), part of the Dental Institute. The Franklin-Wilkins Building, one of London’s largest university buildings and completely refurbished and opened in 2000. Stamford Street Apartments, with en suite accommodation for over 500 students. James Clerk Maxwell Building, home to the School of Nursing and Midwifery, Principal and university administration. King’s College joined South Bank Employers’ Group in 2004. King’s Gordon Museum of Pathology is the largest medical museum in the UK and contains some rare and unique artefacts including Lister’s antiseptic spray and the original specimens of kidneys, adrenal glands and lymph nodes which led Richard Bright, Thomas Addison and Thomas Hodgkin to describe the medical conditions that bear their names. King’s Museum of Life Sciences exists to celebrate and explain the diversity of animal and plant life in the context of the biological and health sciences. Opened in 2009, it brings together historic biological and pharmaceutical collections from King’s constituent colleges.